Born and bred in Providence, Charmaine attended NUA in 2009 and 2010 as a senior at the Met High School. Charmaine received their BA in Creative Writing from Rhode Island College in 2014. They spend their free time writing poems, freestyling lyrics, acting in plays, and reading everybody’s horoscope. Charmaine is a proud Sagittarius sun and rising. 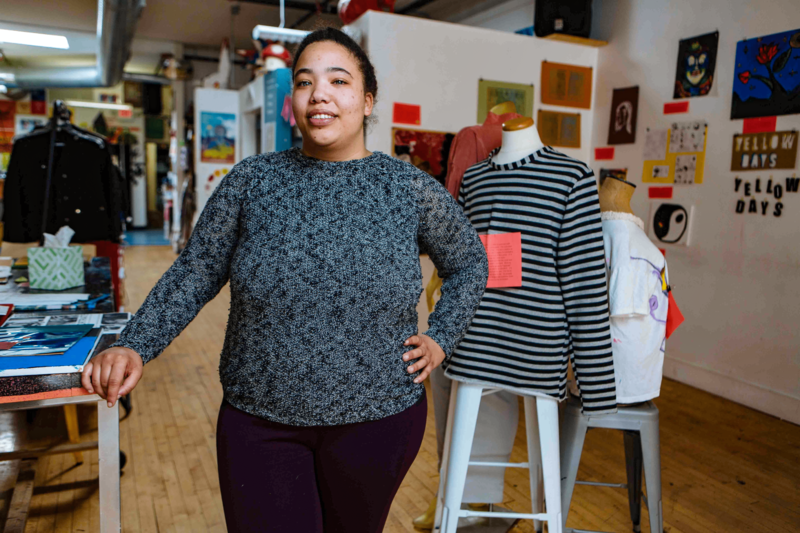 Charmaine served with New Urban Arts as an AmeriCorps VISTA from 2017-2018. In this time, Charmaine worked to help build the capacity of the NUA Knights after school expansion program at Central High School in its first year. After a year of service, Charmaine is excited to join NUA’s development team, bringing with them a passion in making sure the youth of Providence are provided for.